Allchips as the first online supply chain platform of electronic components online, totally grasped and absorbed the new model so that they can sharply occupy the market. So what is their uniqueness? It can be expanded from three points: Data processing, One-stop service and Flexible & specialized service . 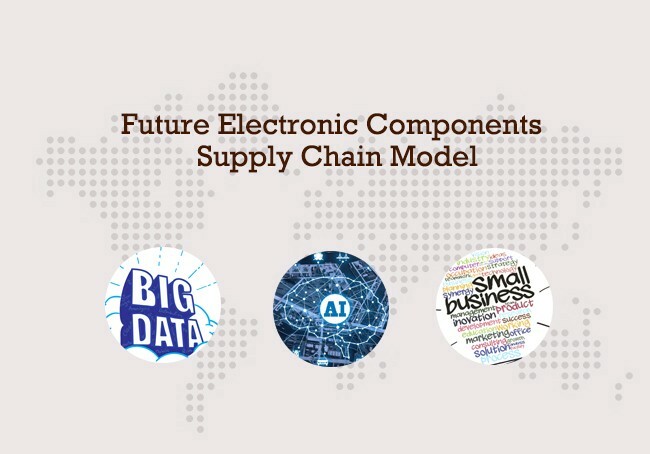 Companies in almost every industry are learning how to harness the power of big data to improve their processes and products, including in the electronic component supply chain. Allchips emphasized this a lot. Their BOM solution is the best reflection. Allchips cooperating with over 1000 brand manufacturers and authorized agents,covering 80% of the main brands of electronic component, Allchips’s BOM solution can continually compare real-time pricing and availability from suppliers and offer a favorable quotation with costdown according to your lead time. At the same time, Allchips’s BOM solution applied the data analytics to predict and respond to changes in demand. Some demand changes are cyclical with others influenced by environmental factors and EOL, which shows in their risks reminder. Then the system will automatically match alternative components according to the risks and EOL, further provide the plan suggestion. The overall service can guarantee the efficiency and high quality of components. Above all, the whole service process will save a lot time, cost and labor resource for your whole project operation. A good platform also have the ability to be equipped with a good solution for the unexpected cases such as delaying, price floating and parts shortage and so on. A flexible and effective resolve is not only related to attitude but also about the platform capacity to deal with tough situation and business ability. Allchips absolutely enables massive customers to cope with obstacles like that. Besides Allchips can offer the service like optimizing the project and their components, which totally demonstrate their flexibility. It is firmly believed that more and more online supply chain service platforms will emerge and step into the main electronic market. Allchips as the first of pioneers is sparing no effort to making breakthroughs for creating more possibilities in electronic components industry, which is also creating innovative solutions to ongoing challenges.